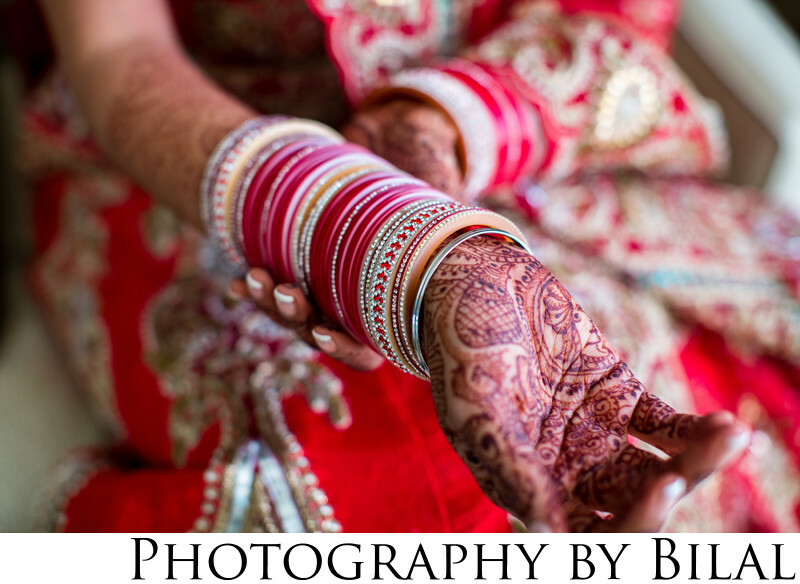 This detail shot of the bride showing off her bangles was shot at the Westin Princeton, NJ, at an Indian wedding. When it comes to wedding photography, one has to be able to capture all the details all throughout the wedding day. Not only does this shot capture the bangles, but also shows some of the bride's intricate henna design.